The Aam Aadmi Party (AAP) leader also said that he has also been removed from various WhatsApp groups of the party. 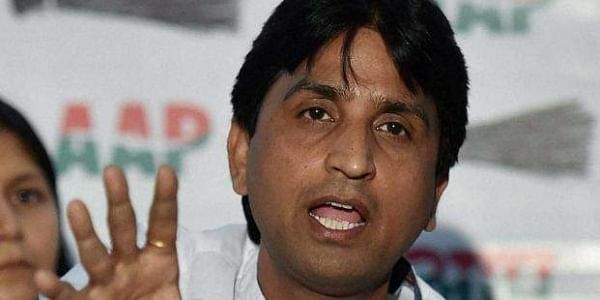 AHMEDNAGAR: Aam Aadmi Party (AAP) leader Kumar Vishwas on Saturday termed the disqualification of 20 of its MLAs for holding the office of profit as ‘unfortunate’ and ‘sad’. “It's very unfortunate and sad that the Election Commission has recommended 20 Aam Aadmi Party (AAP) MLAs be disqualified from the Delhi Assembly for holding offices of profit. I had given certain suggestions earlier but I was told it's the CM's prerogative to appoint people so I kept quiet,” Vishwas told ANI. Vishwas said that he has also been removed from various WhatsApp groups of the party. However, petitioner Prashant Patel in the Aam Aadmi Party MLAs' office of profit case has expressed satisfaction over the ECI's recommendations. The ECI on Friday recommended President Ram Nath Kovind that the 20 MLAs be disqualified. In cases where petitions are made seeking the disqualification of lawmakers, the President sends a reference to the ECI which decides on the case by sending back its opinion. If the president gives his assent, the disqualification of the legislators would pave the way for bye-elections in Delhi.